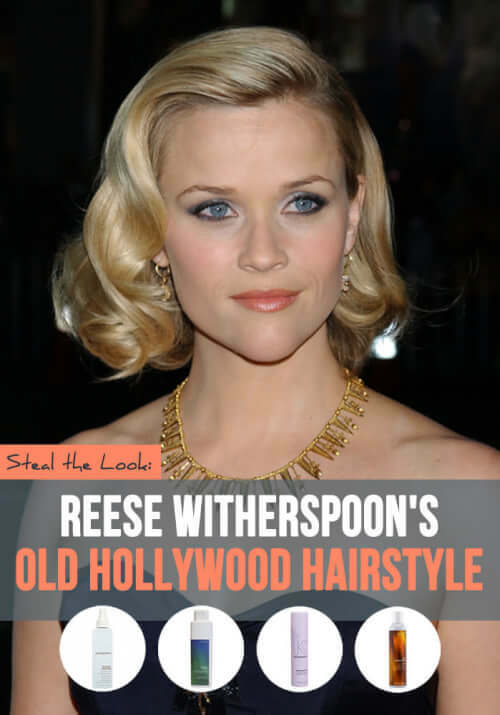 Jonathan Elkhouri, master stylist and owner of Salon Khouri in the Washington DC suburbs (Fairfax, Virginia) loves this classic look on Reese Witherspoon. 1. Start by washing your hair with a volumizing shampoo (we recommend Eufora Volumizing Shampoo). 2. Use a mousse product like Kevin Murphy’s Body Builder Mousse from roots to ends. 3. Next, spray Eufora Volume Fusion Spray near roots then comb through the hair. 4. Blow dry the hair using a round brush for finer hair or a flat brush for thicker hair, lifting at the roots. 5. Once dry, use Kevin Murphy Damage Manager thermal protection spray, spraying on medium sections of hair before wrapping hair with hot rollers. 6. Taking medium sections, roll hair in hot rollers on a slight diagonal, rolling back at the sides and rolling hair under at back. Let the hair sit for 20-25 minutes in the rollers (this is a great time to apply makeup!). 8. Spray the hair with Eufora Uplift to set and hold the style. “You want to allow yourself an hour and a half to recreate this look. It’s also a good idea to do a practice run a week prior to your event,” says Elkhouri. We especially love this look for the holiday season! Do you love these glamorous ringlets on Reese? If so, you’ll love recreating her flirty waves, too!